George R.R. Martin in Santa Fe, N.M. Photo by Steven St. John. Check out George R.R. 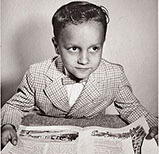 Martin in his early years. Watch Martin's Q&A with Niala Boodhoo '99 MS, Northwestern senior Orko Manna and Entertainment Weekly writer Darren Franich. 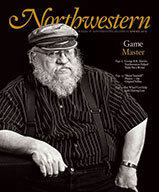 Elizabeth Canning Blackwell ’90 is a freelance writer in Glenview, Ill.
Game of Thrones has made author George R.R. Martin an international celebrity. He says lessons learned at Northwestern helped make him the writer he is today. The first time George R.R. 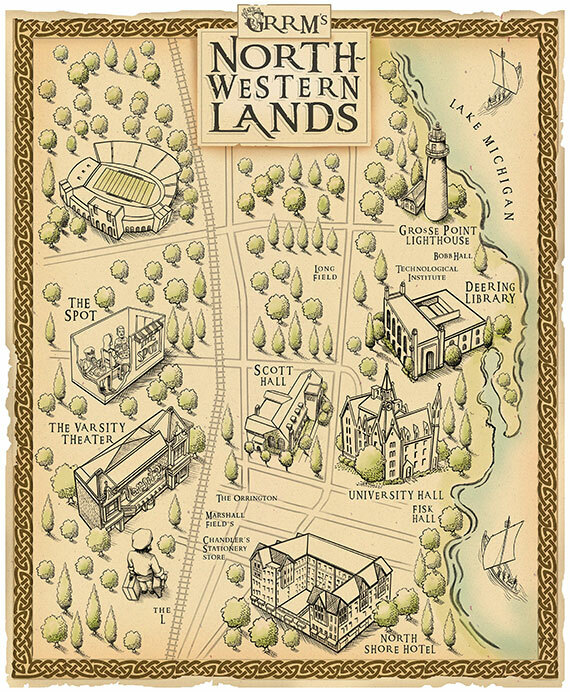 Martin came to Northwestern, he was lost — literally and figuratively. It was the fall of 1966, and he was an incoming freshman from Bayonne, N.J., who’d never left the New York area. Out-of-town students who arrived via plane were met by greeters at the airport, but there was no one waiting for Martin ’70, ’71 MS when he stepped off a Greyhound bus in downtown Chicago. Martin’s most recent visit to Northwestern went a little differently. Martin, now 67, was no longer a nervous student, but a best-selling author whose books inspired the hit TV show Game of Thrones and produced a rabidly devoted fan base. When he received Medill’s Hall of Achievement alumni award last fall, Martin was welcomed back to campus like a conquering hero, drawing crowds to standing room-only Q&A sessions and getting constant requests for selfies. Martin’s multibook fantasy series A Song of Ice and Fire, which has sold more than 60 million copies and been translated into more than 40 languages, is set in a medieval-inspired kingdom that teems with strong-willed characters and life-or-death action. The books are filled with knights and castles and battles, and though magic and dragons make occasional appearances, for the most part these fantasies have a real-world grittiness. In Martin’s work, the stakes are always high: Heroes die, and villains aren’t always punished, just like real life. 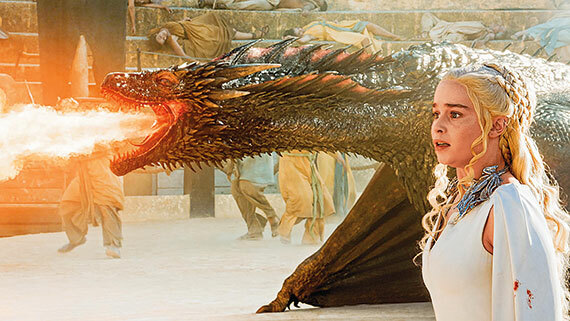 Game of Thrones character Daenerys Targaryen, played by Emilia Clarke. Courtesy of HBO. Martin himself is considerably more cheerful than the world he created. He’s friendly and quick to laugh, most often at himself. Were Martin to be transported into Game of Thrones, he’d most likely be a traveling bard, spinning tales by a castle fireplace. 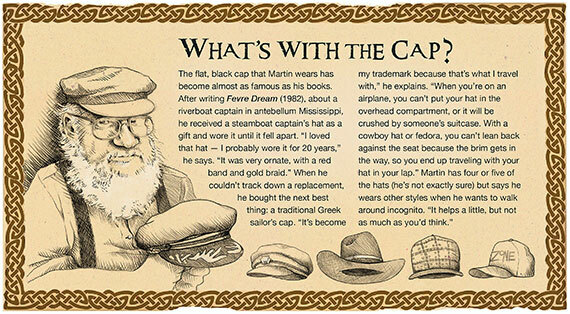 In person and on the page, Martin is at heart a storyteller. Martin found his first year of college an adjustment. “I’d always been one of the smartest kids in my class, and suddenly I was surrounded by other people who were really smart and teachers who didn’t necessarily think I was God’s gift,” he remembers. Ultimately, though, he found his place. Journalism assignments brought him into the heart of the era’s social unrest. (“It was the ’60s,” he says. “There was always a demonstration to cover.”) He minored in history, studying the kind of power struggles that would later influence his fiction. On weekends he played chess at the grill in the basement of Scott Hall and later formed Northwestern’s first chess club. Martin’s other Northwestern memories include going to the Varsity and Valencia movie theaters and out to dinner with friends. “I lived for the Spot!” he laughs. “A pizza cost $1.75, and if you bought 10, you’d get one free. I saved the cards to get that free pizza!” Another favorite hangout was Talbott’s on Howard Street, back in the days when you had to leave Evanston to order alcohol. “We’d go there after chess club meetings for ribs and beer,” says Martin. Martin’s resolve was tested when he graduated with a master of science in journalism in 1971. While he’d seen fellow classmates receive multiple job offers the year before, Martin applied for dozens of jobs and got no offers. Eligible for the draft but opposed to the Vietnam War, he obtained conscientious-objector status, joined Volunteers in Service to America and was assigned alternative service with the Cook County Legal Assistance Foundation in Chicago, where he served as director of communication and education. Even before his two-year term ended, he supplemented his meager $50 weekly VISTA stipend by selling the occasional short story to science-fiction magazines and running chess tournaments. He taught journalism at Clarke College (now Clarke University) in Dubuque, Iowa, from 1976 to 1979, during which time he sold his first novel, Dying of the Light (Pocket Books, 1977). Deciding to give full-time writing a shot, he escaped the Midwest winters and settled in Santa Fe, N.M., where he still lives with his wife, Parris McBride. 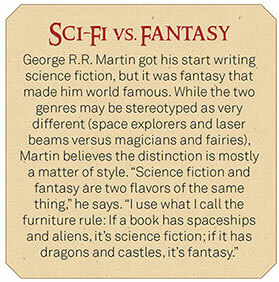 Martin sold more books and saw his reputation rise in the sci-fi world. But when his fourth novel, The Armageddon Rag (Poseidon Press, 1983), didn’t sell as well as expected, “I hit the wall,” he says. There were no more book contracts, and “suddenly I was making nothing. At one point, I had two mortgage payments and was living off credit cards.” He was so disheartened about his career prospects that he even started taking classes to get his real estate license. Ultimately, however, a door opened: A writer who was a fan of Martin’s offered him work on a revival of the The Twilight Zone TV series. Martin reinvented himself as a Hollywood scriptwriter, working on several series and ultimately becoming a producer of Beauty and the Beast, a television series that ran from 1987 to 1990. He was even given the chance to develop his own show, but after almost two years of meetings and rewrites and uncertainty, the series never got off the ground. In Hollywood’s eyes, Martin was washed up. Again. 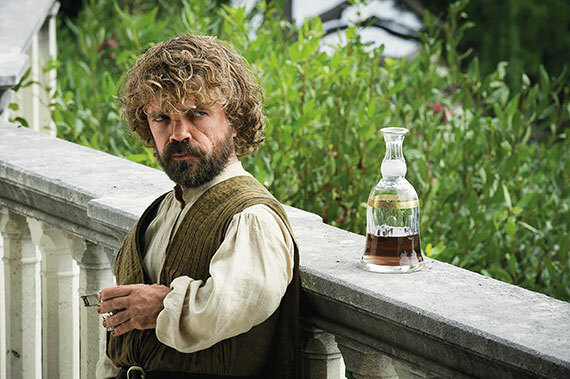 Game of Thrones character Tyrion Lannister, played by Peter Dinklage. Photo by Macall B. Polay/ HBO. Though Martin misses his past anonymity, he’s grateful to be able to support causes he cares about. He uses the power of his fan base to raise money for the Wild Spirit Wolf Sanctuary in New Mexico and turned a shuttered theater in Santa Fe into a vibrant venue for movie screenings and author appearances. Most recently, Martin paid to refurbish an old bowling alley where a local artists’ collective is creating a massive interactive exhibit. “It’s great to give a check to charity, but I like the idea of giving back to Santa Fe in a really tangible way,” Martin says.